Our Manila branch has just got another boost with the arrival of Fitz Patrick Gonzales, who just joined our team as a Mobile Marketing Manager. “My role is to connect mobile publishers and advertisers with mobile campaigns – and to help further grow our network of opportunities”, Fitz Patrick described in a recent interview. A graduate of marketing management from San Beda College, he first joined quite a different industry. Fitz Patrick worked as a bookkeeper in the betting industry, looking at patterns of bets in real time to see if anything suspicious was forming up. This is also a valuable background experience as he headed over to mobile marketing, where the threats posed by fraud have become a major topic. 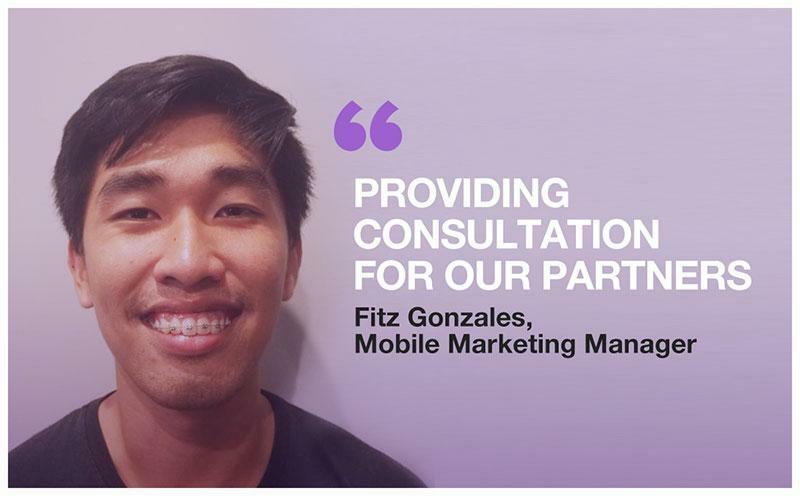 Fitz Patrick has been a part of the mobile marketing industry for two and a half years now, and he decided to join two friends who had already taken the step over to Spyke’s Manila office. Fitz Patrick enjoys this personal part of the job, where he deals with the individual goals of companies and the personal demands articulated by real humans that he talks to via all possible channels. On a private note, he’s inspired by Harry Potter. He’s read all the books not only once, but twice at least. So you may expect some magic words – or perhaps even business magic.